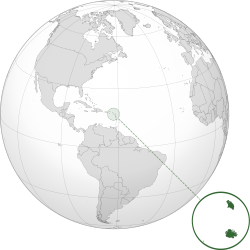 ध्येयवाक्यम्: "Each Endeavouring, All Achieving"
↑ १.० १.१ १.२ १.३ "Antigua and Barbuda". International Monetary Fund. 2016. Retrieved 1 April 2016.